Cryonics is legally allowed only after death, and during this time the body starts to decay. Cryopreservation should ideally be performed within a few minutes of the patient’s demise. This happens less than half the time for current cryonics clients, and their tissues start turning to mush before freezing. How would customers pay for their cryopreservation? Perhaps with Russian rubles? … Nyet. Or, with Swiss Francs? … Nein. 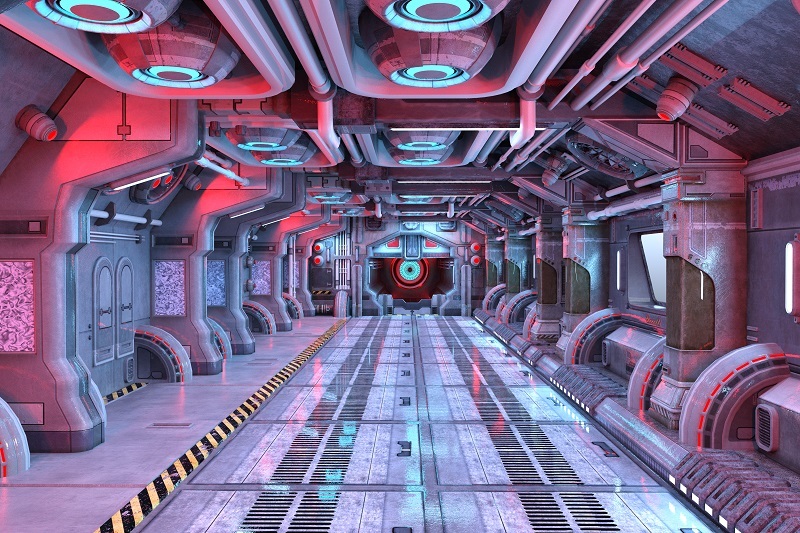 CryoGen wants to build a cryonics facility like this. Credit: Getty Images. Customers may redeem Cryotokens to purchase full body cryopreservation (36,000 CRYO), neuropreservation (cryopreservation of only the head) – (18,000 CRYO), transportation (3,000 – 10,000 CRYO), and standby services (50,000 -100,000 CRYO). In addition to cryopreserving humans, CryoGen proposes to offer other services which it prices as follows: DNA cryopreservation (1,000 CRYO), and animal cryopreservation (10,000 – 36,000 CRYO). Cryopreservation and reanimation of the brain is the hardest thing to do for cryonics firms like CryoGen. Credit: Getty Images. May cause severe cellular damage? Alcor is putting it way too mildly. Even with the best medical nanorobots of the future, a body left dead for several hours is beyond recovery. Medical science has a great many interventions to revive a dying person, such as the defibrillator. However, its ability to shock a person back to life declines rapidly after a cardiac arrest. Within minutes, the muscle cells of the heart, deprived of oxygen-rich blood, start dying. Once they do, no amount of defibrillation will get them working again. As soon as the heart stops beating, heart muscle cells start dying. The more that die, the less the chance of getting the heart started again. The problem of a dead heart, however, is minor compared to that of a dead brain. The brain is extremely sensitive to interruptions in blood flow. For example, during a heart attack, as soon as the blood flow stops, the brain starts losing cells. It only takes a few minutes before severe and permanent brain damage occurs, eventually leading to brain death. Sadly, many times heart attack patients have been resuscitated, only to have severe brain injury due to lack of oxygen or be brain dead. In 2015, scientists successfully restored the memories in a worm’s brain after cryopreservation. However, the human brain is far larger and far more complex. 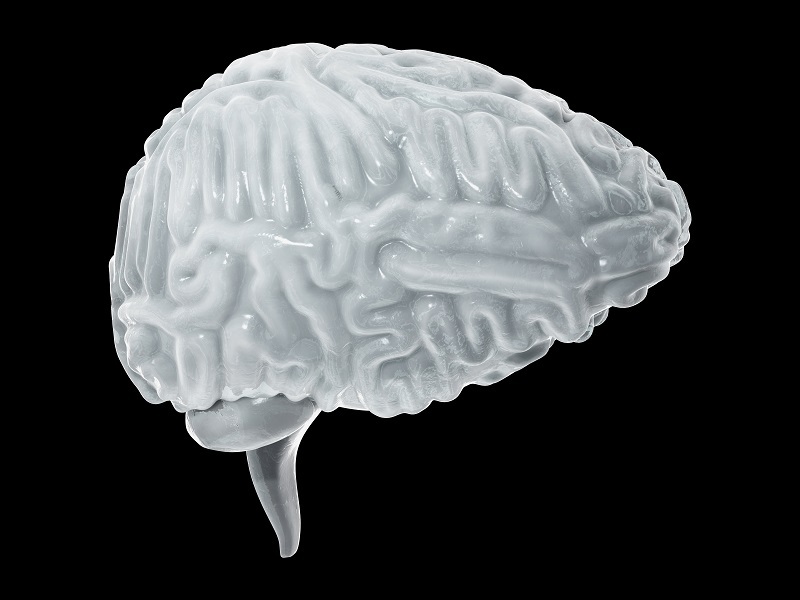 If the brain could be frozen in pristine condition and without ice crystals, the information might still be there. That’s not even counting fixing the physical damage to the brain from the lack of oxygen that occurs after the cessation of blood flow and the freezing process itself, given the number of connections between the many billions of neurons in a human brain. CryoGen is the brainchild of the Russian cryonics firm KrioRus, whose principals include Valeria Udalova, Yuri Pichugin, and Igor Artyukhov. All three are specialists in the field of cryonics and cryopreservation, and not surprisingly, all three are also transhumanists. Valeria Udalova is the CEO and Co-founder and of KrioRus, a position she has held for eight years. Udalova is a popularizer of cryonics and participated in both the start and growth of the cryonics field in Russia. Yuri Pichugin, Ph.D. is the Director of Science for KrioRus. Dr. Pichugin has been perfecting cryonics technology for 40 years and has written more than 80 scientiﬁc papers on the subjects of cryopreservation and cryonics. The cryobiologist also created vitriﬁcation technology – an essential component of modern cryonics – for the American cryopreservation firm, the Cryonics Institute. Igor Artyukhov is the Research and Development Director and Co-founder of KrioRus. Igor is a biophysicist, cryobiologist, futurist and active evangelist of nanotechnology, cryonics and other futuristic technologies. In 2003, Igor performed the cryopreservation of the very ﬁrst Russian cryonics patient. He is the author of many papers related to cryopreservation and cryobiology and has designed special devices for cryonics. To perform the cryopreservation procedure, CryoGen is enlisting the services of Dr. Yuri Matveev, a Surgeon, and Perfusionist with experience in cryonics. Dr. Matveev has invented new methods of perfusion and various devices for cryopreservation. Dr. Matveev has performed numerous cryopreservations of humans and animals and trains new cryonics specialists. Any cryonics firm can freeze your body, but can they successfully resurrect you? The short answer is ‘no.’ There is little scientific proof to support the theory of reanimation and most mainstream physicians, and scientists are highly skeptical of the cryonics field. There are no known cases of successful resuscitation of cryopreserved patients. The implication is that nanotechnology experts are confident on the role of nanorobots in the future of medicine. However, it’s a far stetch of the imagination to see a nanorobot cleaning up the damage from today’s level of cryopreservation technology. Cryonics is a growing industry that began in the 1970s, with the founding of industry pioneers, Alcor Life Extension Foundation and the Cryonics Institute (CI). KrioRus started 11 years ago as the only cryonics provider in Europe with an on-site cryonics repository, a position it still holds today. CI is a member-owned-and-operated cryonics firm located in Clinton Township, Michigan, and Alcor is located in Scottsdale. Journalists call KrioRus the Lada of the cryonics world when comparing the firm to their chief competitor, Alcor who is characterized as the Mercedes-Benz of cryopreservation. Alcor is the leading cryonics company and conducts tours of its premises twice a week, demonstrating the operating room as well as long-term cryopatient storage facilities, where they can be viewed through bulletproof glass. Two famous futurists, Aubrey de Grey and Ray Kurzweil, are both members of Alcor. KrioRus, the controlling company of CryoGen, does not offer any such services, and their facilities are far less polished. No bulletproof glass. KrioRus hopes to change all that with the new cryonics facility in Switzerland. The funds collected by the startup firm will go for a whole more than freezing customer’s bodies. CryoGen plans to invest in cryonics research and facility construction first and then cryopreservation of clients later. Starting sometime next year, CryoGen plans to start the renovation of an abandoned Swiss bunker as a cryonics storage center, building a facility to perform the cryopreservation process on clients, and the development of at least one other cryonics facility in Russia. That is, assuming that the cryonics firm has enough CRYOS in the bank. Some experiments using nanoparticles as a cryoprotectant have shown promise and CryoGen plans to take a few more CRYOS out of the cryobanking account to perfect the nanoparticle perfusion technology. They plan to take small steps, seeing if the nanoparticle technique can successfully cryopreserve and then later reanimate larger and larger tissues. Tiny steps are better when it comes to nanotechnology. In 2019 the cryonics firm plans to spend even more CRYOS on “massive R&D on reversible cryopreservation of animal organs under nanoparticle perfusion, plus other related experiments.” If all goes to according to plan, the construction of the Swiss cryonics storage facility should be complete, and full-scale cryopreservation services will begin. The startup plans to invest even more CRYOS in a dewar manufacturing facility to meet booming worldwide demand. If you are a cryonics client, dewars are the human-sized thermos flasks used to store your cryopreserved body and will be your home for the next hundred years or so. Not content to stick to cryonics research, CryoGen plans to start an anti-aging center. Hopefully, this will not deplete the cryobanking account, as the firm plans to fund it with grants. CryoGen hopes that clients of the anti-aging center will eventually contract as cryonics patients. Of course, if the anti-aging center does a good enough job, then its clients will never have to make use of the firm’s cryopreservation services. The CryoGen forecast stops at the year 2022. For a long-term company, the startup has a short-term forecast. The firm plans to invest in the perfection of cryopreservation technologies, a sorely needed investment if the plan is to succeed. Cryopreservation technologies have come a long way, in part due to the work of Dr. Greg Fahy, an innovator in the fields of both cryopreservation and restoring thymus function. 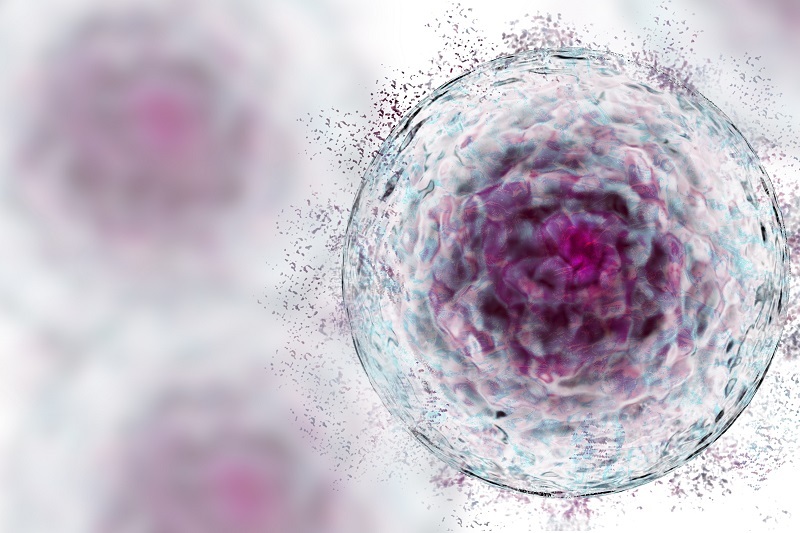 Despite the advances made by Dr. Fahy and others, current cryopreservation technologies damage far too many cells and rely on miraculous advancements to clean up the mess. For decades now, the field of cryonics has had limited support from mainstream science. At the end of the 1970’s, the field of cryobiology – the study of the cryopreservation of tissues- separated itself emphatically from the cryonics crowd. In fact, the mainstream Society for Cryobiology actively discourages its members from doing work that could advance cryonics and threatens to expel anyone who practices or promotes the cryopreservation of humans. This prohibition has greatly dampened the enthusiasm for cryonics-related research, as cryonics researchers run the risk of being excluded from the field of cryobiology – the scientific specialty that is most relevant to their work. The CryoGen proposal makes it clear that investors’ CRYOS will be paying for a lot more than just the cryopreservation of their bodies. In their whitepaper, CryoGen spoke little about the cryopreservation of customers. Instead, the would-be cryonics startup focused on their plans to invest a fistful of CRYOS on a capital program, to build cryonics facilities in multiple countries and advancing cryopreservation research. Given enough CRYOS, all of this is possible, but it seems that CryoGen is overreaching with their plans to build an additional cryonics storage facility in Russia, being redundant with the one in Switzerland. Could this be because one can get more for their CRYOS in Russia? The plans for a dewars manufacturing facility are premature. There will be no need to ramp up dewars production until the firm can demonstrate successful cryopreservation and reanimation. Moreover, why does a cryonics firm need an anti-aging center? To be successful, a company should focus on one technology – that which it does best. Except of course, for Elon Musk. It’s an expensive bet with long odds. There’s no doubt that cryopreservation technology has significantly improved. And if CryoGen gets their way, we can expect the technology to improve a whole lot more. How Far Will Your CRYOS Go? In the past, cryonics companies have not always been capable of fulfilling their contractual obligations. While other cryopreservation firms put their future operations expenses in trust funds – an idea not mentioned in CryoGen’s proposal – how long can these trust funds last? Can the trust funds survive taxation authorities, currency collapses, legislative changes, and changes in government? One click helps us spread the word – Share this post on social media and help us spread the word. It only takes a click on any of the social media links on this page. Tell us what you think of cryopreservation – Scroll down to enter your comments below. Could Precision Treatments Cure Alzheimer’s Disease? My wife & I were 8 years with Alcor and we switched for the Cryonics Institute, the Cryonics Organization with the largest number of members and whole body cryopreserved patient in the World for many serious reasons.